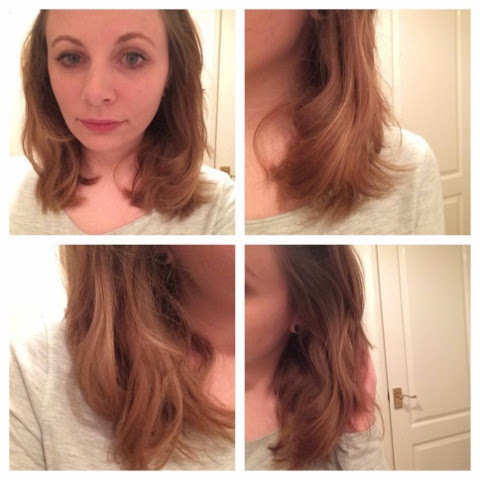 I have just styled my hair using a brand new hair product called Click N Curl*. The great thing about this product is the detachable handle, you can use the curler itself as a round brush whilst drying your hair and then once the curler is in place you simply click the handle off and use it for the next curler. Such a simple and easy to use feature. After drying my hair and leaving the curlers in to set I then let them out and sprayed a little hairspray to keep my new style in place. As I have a lot of short layers in my hair these are great to just curl the ends of my hair. 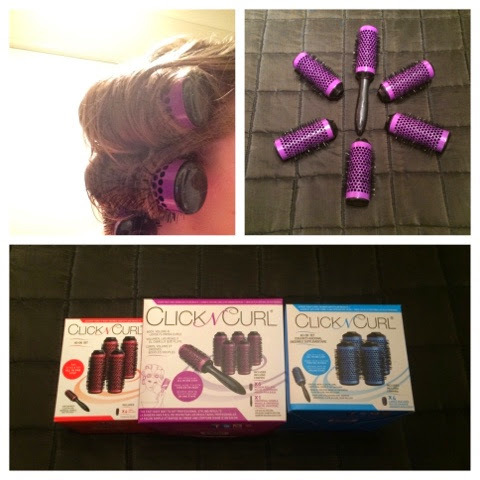 The curlers themselves come in different sizes. The main box includes 6 x medium (2.25inch) rollers and a handle, you can also purchase additional rollers : small (1.75inch) or large (3 inch).